(Los Angeles – April 26, 2015) Announced today, BILLY ZOOM makes his return to X! While still undergoing chemo maintenance for his cancer, Billy Zoom has returned to his duties as only he can; playing guitar in the band that he founded, X. And back to work they shall go! Beginning next Cinco de Mayo weekend, the previously announced Tres Bandas Companeros tour performed by the ultimate trio of Los Angeles-based bands – X, Los Lobos and The Blasters takes off with a May 6th show in Orange County before hitting LA on May 7th and San Diego on May 8th. Then, in August, X will start their “Re-Zoomed” dates in Virginia on August 12th before heading to NYC, Philly, Boston, Milwaukee, Chicago, and a pair of shows in Detroit end on August 21st. The punk quartet will then head back to Orange County to perform as part of the Ohana Music & Arts Festival in Dana Point before heading north for two more shows in Santa Cruz and Petaluma on August 28 and 29th. Formed in 1977, X quickly established themselves as one of the best bands in LA’s flourishing first wave punk scene. 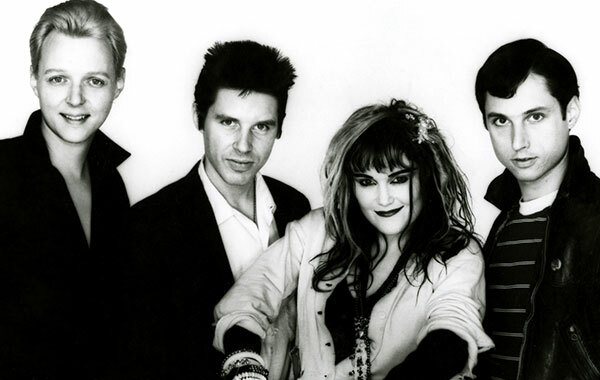 Featuring vocalist Exene Cervenka, vocalist/bassist John Doe, guitarist Billy Zoom, and drummer DJ Bonebrake, their debut 45 was released on the seminal Dangerhouse label in 1978. While these songs were later re-recorded for their second album, the versions on Adult Books / We’re Desperate reveal X’s raw talent for totally sincere songwriting and stripped-down rock n’ roll. This past April, the band re-issued that first single, in its original 7-inch format, as limited edition colored vinyl.